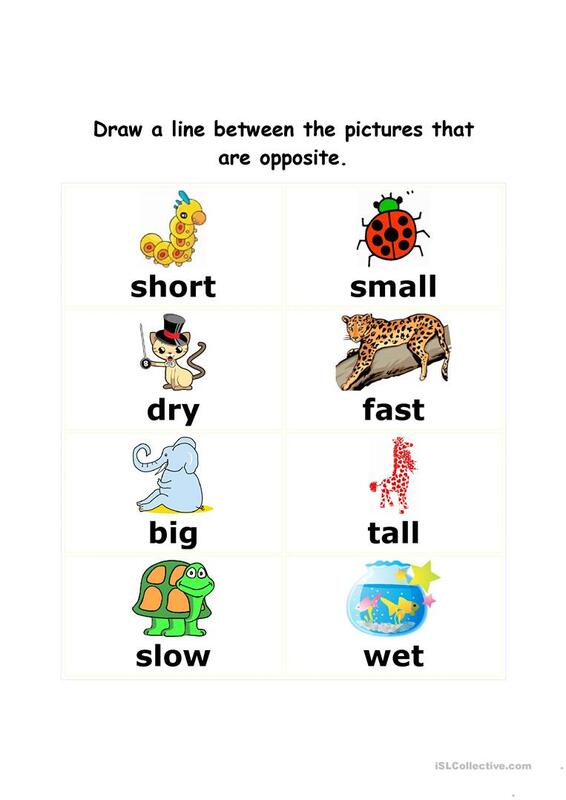 The above downloadable printable is best suited for elementary school students and kindergartners and nursery school students at Elementary (A1) level. 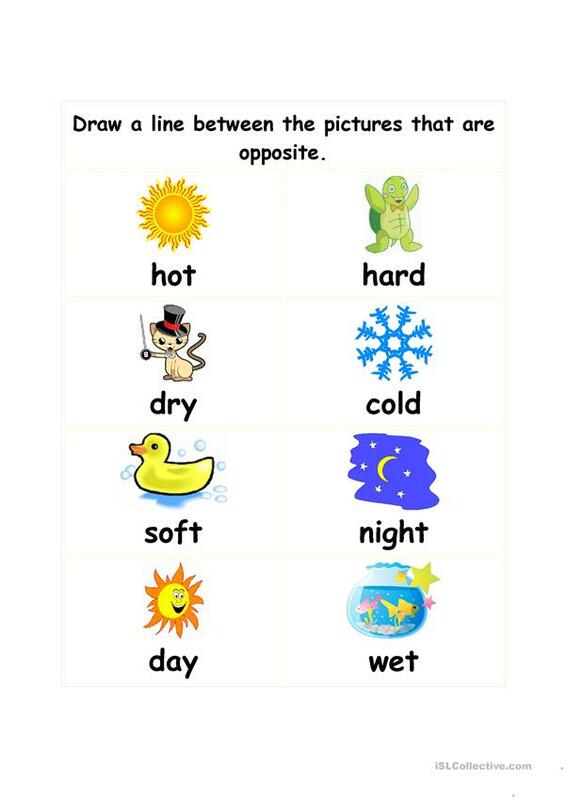 It is aimed at consolidating Opposites (antonyms) in English, and is a valuable material for honing your learners' Reading and Writing skills. It centers around the vocabulary topic of Opposites. ljaxhe1 is from/lives in United States and has been a member of iSLCollective since 2011-05-10 21:54:20. ljaxhe1 last logged in on 2014-09-30 17:33:57, and has shared 2 resources on iSLCollective so far.